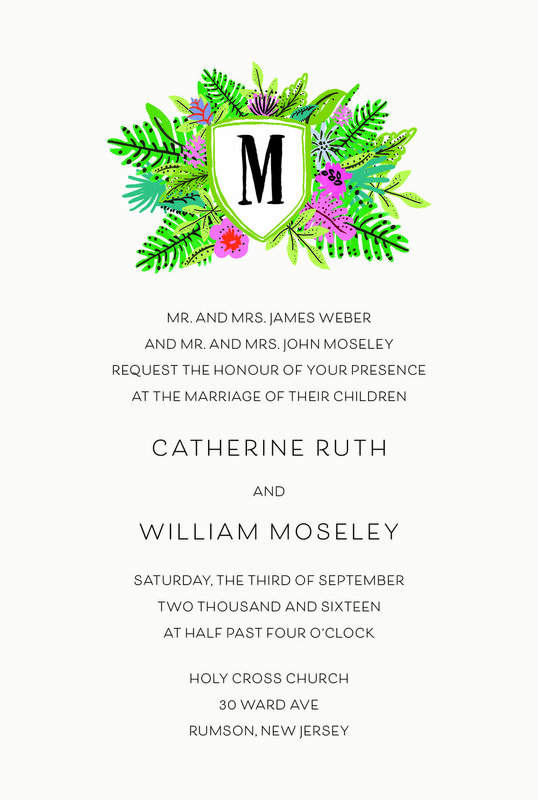 Below are some examples of different variations for wording invitations. This is just a handful of options. Ultimately, it's up to you to decide how you'd like to announce the details of your big day. Held in place of worship. Edit to "honor" if held outside a place of worship. Held outside a place of worship. Held in place of worship. Groom's parents honored. Held in place of worship. Held outside a place of worship. Parents honored. Held outside a place of worship. Late spouse honored.